Most of these wheels which appear to be in motion are the result of corresponding groundwork laid on Capitol Hill you may not be aware of, including what might be the most important document in the entire process, expected in a little over a week. On January 15, the DOJ's internal watchdog - the Office of the Inspector General (OIG), is expected to present their findings to Congressional investigators regarding a wide variety of alleged bias and malfeasance by the FBI, the Clinton campaign, and the Obama Administration - both during and after the 2016 election. Moreover, the man heading up the OIG investigation, Michael Horowitz, fought the Obama Administration to regain investigative powers which were restricted by former Attorney General Eric Holder during the Fast and Furious scandal. As you will read below, this highly anticipated report is likely to be the legal impetus behind a second Special Counsel - as detailed by an independent researcher from New York who goes by the Twitter handle "TrumpSoldier" (@DaveNYviii). His reporting, conveyed below, is a deep dig into the OIG's ongoing investigation, how Congress and the OIG have worked in tandem to pave the way for a Special Counsel, and how Michael Horowitz went to war with the Obama Administration to restore the OIG's powers. Michael Horowitz testifies before the Senate Judiciary Committee. 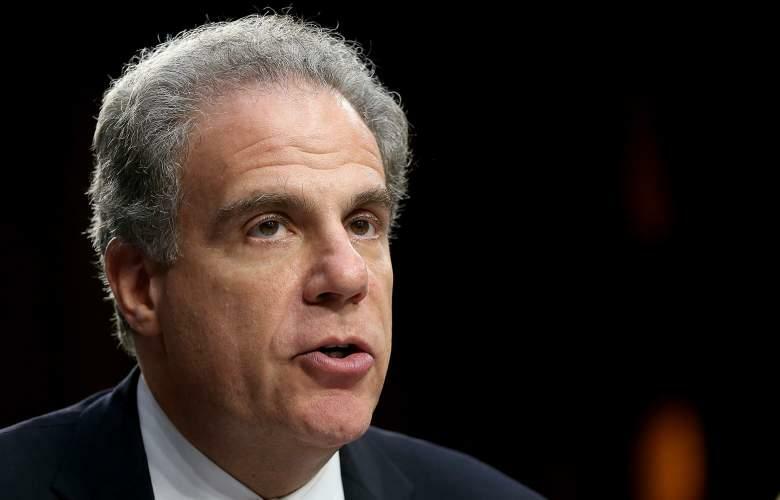 Horowitz's efforts to roll back Eric Holder's restrictions on the OIG sealed the working relationship between Congress and the Inspector General's ofice, and they most certainly appear to be on the same page. Moreover, brand new FBI Director Christopher Wray seems to be on the same page as well. Click here and keep scrolling for that and more insight into what's going on behind the scenes. As illustrated below by TrumpSoldier, the report will go from the Office of the Inspector General to both investigative committees of Congress, along with Attorney General Jeff Sessions, and is expected on January 15. The OIG report could be in the hands of the DOJ as soon as January 8 for review, however it is unclear whether their response will be included in the copy of the report issued to Congressional investigators on January 15. Their comments are key. As TrumpSoldier points out in his analysis, the DOJ can take various actions regarding "Policy, personnel, procedures, and re-opening of investigations. In short, just about everything (Immunity agreements can also be rescinded)." With the wheels set in motion last week seemingly align with Congressional requests and the OIG mandate, and the upcoming OIG report likely to serve as a foundational opinion, the DOJ will finally be empowered to move forward with an impartially appointed Special Counsel with a mandate to investigate whether or not we should "lock her up" (along with members of her motley crew). Maybe that's why Sessions has been sitting on his hands?